Australian Senior Golfer is delighted to welcome one of the country’s leading senior amateur golfers in Denis Dale to our ongoing coverage. Denis has a swag of national and state golfing titles to his credit and is a highly respected long-time member of the Australian senior amateur national team, representing the country in a number of international championships. He is also publisher of the Australian Senior Amateur Golf (AUSOOM) website, which provides an excellent coverage of elite senior amateur golf. In his first post for ASG, Denis gives an overview of the national and state Senior Order of Merit competitions – now in the midst of their 2014/2015 seasons – explains how the whole thing works, gives a calendar of remaining events, and, importantly, how you might be able to take part. THE 2015 season is well underway but for Australia’s senior golfers there’s still plenty of incentive to plan their golfing itinerary for the remainder of the year. If you are a senior golfer over the age of 55 then there is a wonderful calendar of events to be played on many of Australia’s best courses. Every mainland state now has their own Senior Order of Merit competition and for those ready and able to travel interstate there is the Australian Senior Ranking competition run by Golf Australia. The competition began in 2006 when it was called the Australian Senior Order of Merit. In the inaugural year it included the Australian Senior Amateur Championship, State Senior Championships plus a few additional events. Now renamed the Australian Senior Ranking System, the competition continues to develop and in 2015 provides a yearlong series of 16 major golf tournaments for senior golfers across every state and territory. Apart from the enjoyment of competing in these major events players are also striving for ranking points as the Australian Senior Ranking System is used to select teams to represent Australia in annual matches against New Zealand and the Australian Defence Forces and for selecting the 6 man team to represent Australia in the Asia-Pacific Senior Championship (this year to be held in China). What events are on in 2015? As the ranking year begins on November 1 and end October 31 in the following year the first event for the 2015 year has already been played. Last November the 2014 ACT Senior Championship was played on three of Canberra’s best courses – Gungahlin Lakes, Gold Creek and Federal. This event always produces a close finish and 2014 was no exception. With one round remaining there were ten golfers within reach of the title but it was the ever reliable Stefan Albinski who again demonstrated what it takes to win important senior events. In a fine display of controlled golf Albinski carded a final round of two over 74 to finish with a two stroke winning margin. His rounds of 75-71-74 gave him a 54-hole total of 220 (four over par). Second place went to ACT senior Darryl Whitehead who charged home with a final round of one under par 71. There was a three way tie for third place. The 36 hole leader after opening with 72 and 73, Sal Ballard started his final round poorly but then battled back well with three birdies in four holes on the back nine for a round of 78. Joining him in third place were Victorian Mick Asami (73-74-76) and another newcomer Mark Pearson (75-73-75). The 2015 ACT Senior Championship will again be played in November. The 2015 Royal Melbourne Senior Classic was played on January 19-21 using each of Royal Melbourne’s famous layouts, the West Course (number 1 in Australia), the East Course (8) and the world renowned Composite Course. This was the third playing of the event and once again the entries for the event were outstanding. A ballot was needed to reduce the field to the maximum of 108 and a handicap of 4.9 was the cut off position. The next senior ranking event on the calendar is the 2015 Tasmanian Senior Amateur starting on February 11 at Mowbray Golf Club in Launceston. Mowbray is a good test of golf and is also well known as the “Home of Ricky Ponting”. March is a busy month with the 2015 NSW Senior Amateur to be played on Duntry League and the Ex-Servicemen’s courses in Orange. Using two courses ensured that all who nominated for this very popular event got a start. March 16-17 are the dates for the 2015 Lake Karrinyup Senior Classic in Perth. Lake Karrinyup Country Club is considered by most as Western Australia’s premier golf course and has been regularly rated as one of the top ten golf courses in Australia. Why not join the defending champion in testing yourself on the same course where the leading world professionals compete in the rich Perth International every year. Following straight after the Lake Karrinyup event is the 2015 West Australian Senior Amateur Championship beginning March 19. This year the tournament is being played at one of Perth’s best courses, Mt Lawley Golf Club (number 64 in Australia). If you have never played at The National then make sure you get there for the 2015 The National Masters beginning April 14. The venue is magnificent and nowhere else in Australia can you play three courses of this quality at the same location. The tournament is played over all three of The National’s championship courses – The Moonah (number 8 in Australia), The Old (10) and The Ocean (30). The courses are wonderful to play however the tournament organisation and hospitality of the hosts is perhaps even better. This is one tournament not to miss. Still on a high after a week at The National Masters? Fortunately senior golfers have another selection of world class courses to play the following week in the 2015 NSW Senior Classic. This event is played over three exceptional and well known golf courses – The Lakes Golf Club, number 14 in Australia and the venue for the 2011 and 2012 Australian Opens, The Australian Golf Club (15) which hosted the 2014 Australian Open and will do so for the next few years and the beautiful tree lined Avondale (66) perhaps the best course on Sydney’s north shore. If you have never been to Alice Springs then the middle of May is the time to make your first visit and enjoy the Alice Springs Golf Club for the 2015 Northern Territory Senior Amateur Championship. The Alice Springs layout has large teeing blocks, fully grassed rolling fairways and huge, well-bunkered putting greens set against the stunning natural backdrop of the ancient MacDonnell Ranges. This Peter Thomson designed course is rated inside the Top 100 courses in Australia and in the Top 10 desert golf courses in the world. There is plenty of excellent accommodation near the course and a wonderful opportunity to see the nation’s centre. Darwin senior Trevor Osborne is the defending champion and he is expected to make the trip to “The Alice” as he attempts to become the first back-to-back winner of this championship. June has been an empty month for most years but 2015 will be different with the rescheduling of the 2015 Australian Senior Matchplay Championship to be played from June 15-17. The Coolangatta Tweed Heads Golf Club will again be the host after their very successful running of the tournament in 2014. 2014 winner Brian Sams defeated a strong field to claim his first national title and he is sure to return to a course that is now one of his favourites. As it carries a national title and many ranking points most of Australia’s top senior golfers are sure to include the Matchplay when planning their 2015 golfing calendar. This is the only Matchplay championship on the senior calendar and it is will attract a top quality field. Players are seeded for the draw on the basis of their current Australian rankings. The warm weather of sunny Queensland and the very good golf course make this a very welcome addition to the June calendar. July is another busy month beginning with the annual Australia vs New Zealand event for the 2015 Sanctuary Cove Trophy. The tournament rotates between each country and in 2015 it will be played at the Sanctuary Cove Golf Club in south east Queensland. Once again a 12 man team of Australians will be playing the Kiwis in this Ryder Cup format competition. The Kiwis have now established a lead having won five of the eight years this event has been played. A very strong Australian team is expected for 2015 and hopefully they can turn the tables on their Kiwi rivals. The following week sees the regular July “Queensland Double” begin with the 2015 Gold Coast Senior Classic starting on July 20. This event is played over 54 holes on three courses, including the recently redeveloped Royal Pines Golf Club. This is the same course that was the host of the 2014 Australian PGA Championship won in an exciting seven hole play-off by Greg Chalmers defeating Adam Scott and Wade Ormsby. The other courses now included are The Glades and Links Hope Island. The defending champion is Queenslander Steve Toyne who won his first national ranking event in 2014 with a one stroke win over New Zealander Michael Barltrop with NSW’s Vince Clark another stroke away in third place. Played in conjunction is the annual State of Origin Challenge between NSW and Queensland where teams of 17 players compete for their state over the three days. In another close battle Queensland were again the winners to stretch their winning run to three in a row! Perhaps a win for the Blues in 2015? Following on from Royal Pines is the 2015 Queensland Senior Amateur Championship to be played at the Southport Golf Club on Queensland’s Gold Coast. Southport is definitely a challenging test of golf with a mild amount of undulation, many tree lined fairways and strategically placed ponds and lakes. NSW senior Brian Sams is the defending Queensland Senior champion having won at Carbrook in 2014. He also won this championship in 2007 when it was played at Southport so he will certainly be one of the tournament favourites. August is time for a rest but September is another busy month with three national ranking events. The first two are played in South Australia beginning with the 2015 range/Kooyonga Senior Classic on September 3. This year the 36-hole event will be split over two courses – The Grange and Kooyonga. Both are championship layouts currently rated well inside the Top50 courses in Australia with Kooyonga at 22 and Grange East at 40. The defending champion is Victorian senior Barry Tippett who gave a display of top quality consistent golf to win the 2014 title by five strokes. This victory, an earlier win at The National Masters and then a runner up placing in the Australian Matchplay made it a great senior year for Tippett. It’s only an hour from Adelaide on route to Kangaroo Island and the moment you arrive at The Links Lady Bay you know you are somewhere special. The course is a wonderful challenge but if your golf game is struggling then just enjoy the beautiful South Australian countryside and the wild birds and kangaroos in their natural habitat. West Australia’s John Banting is the defending champion. The last week of September is the 2015 Australian Senior Amateur Championship to be played in Sydney at Manly Golf Club. This is the most prestigious event for the year and as usual most of Australia’s top level senior amateur golfers will line up for a chance to take home the title. Manly has recently completed a major re-development and the course is now a true test with an obvious emphasis on strategy as well as shot making. The 2014 Australian Senior champion was Victorian Gordon Claney who capped a stellar year in senior golf with his victory in the championship. He will be the favourite to repeat his win but the field will be the best of the year. October 14-16 sees the playing of the 2015 Asia Pacific Senior Amateur Championship at the Billy Casper/Scott Miller designed Qingdao International Golf Club in China (opened in 1997). A 6 man team will represent Australia but there will certainly be other Australians making the trip to compete in the event and then add on some site seeing to iconic places such as The Great Wall, the Terra Cotta Warriors, the Yangtze River, the Giant Pandas, Beijing etc. Later in October it is the 2015 Victorian Senior Amateur Championship beginning on October 19 at Bight and Myrtleford Golf Clubs. These neighbouring clubs are located at the foothills of the Victorian Alps and the drive to and from these courses make it worthwhile without the added pleasure of the golf. The Victorian Seniors is always a keenly contested championship with a large field again expected. The winner in 2014 was Victorian Gordon Claney who birdied the final hole to make it to a play-off with fellow Victorian Greg Rhodes who earlier had birdied four of the last five holes to be the club house leader. Claney won the playoff at the second extra hole. With the Australian Matchplay moving to June the Victorian Seniors is now the final event of the 2014-15 Senior Ranking competition. The 2015-16 Australian Senior Ranking year begins with 2015 ACT Seniors Championship to be played November 10-12 at Gungahlin Lakes, Gold Creek and Federal golf clubs. These three very good courses make the trip to Canberra a rewarding one. Stefan Albinski is the defending champion. You don’t have to be a low marker like senior tour regular Stefan Albinski (pictured) to play in national ranking events. There’s even a yearlong National Senior Handicap competition that gives all golfers a chance of winning a major medal. Who can play in Australian senior amateur golf events? You need to be 55 years or older on the first day of the event being played. While some of the events have handicap restrictions e.g. the 2015 NSW Senior Amateur Championship has a handicap limit of 15.4, there are others without any handicap limit. All entry forms contain this information. Some events e.g. the Australian Senior Amateur, the Royal Melbourne Classic, the National Masters, the NSW Senior Classic, are very popular and a ballot is often required. In this case a player’s handicap is used. The best policy is to enter and wait to see if a ballot is needed. Entry in the Australian Senior Matchplay Championship is open to any senior golfer who has played at least one ranking event during the preceding 12 months. Normally there are 32 players in the main event and 8 in the Over 65 “Super Seniors” category. How does the Ranking Points System work? The Golf Australia web site has full details on the Senior Ranking System. While each senior ranking event stands alone with prizes awarded in both scratch, age and handicap divisions there are also ranking points awarded to all players at the conclusion of the tournament. In summary, each event is given a rating based on the strength of the field. The number of competitors from inside the Top 20 on the Current Senior Ranking Table is used to calculate the field strength. The highest rated event is the Australian Senior Amateur with an automatic Level 6 rating with most other events achieving a level 3, 4 or 5. A higher rating event means a higher number of points available for players in that event. Throughout the year a player’s points are totalled and divided by seven to give an average. If the player plays less than seven events the divisor still remains at seven so clearly it is best to try and play in at least seven of the events during the year. If a player competes in more than seven events then his points total is divided by his actual number of events e.g. a player competing in 9 events will see his points total divided by 9 to produce his average points score. As well as the major points table to identify the best senior amateur golfers over 55 there is a separate ranking table for those seniors over the age of 65. Points in this competition are taken from the main table – the only criteria being a player must be 65 years old when the event is played. There is also a yearlong National Senior Handicap competition. The competition awards points to the top 40 places in the handicap section of each event. 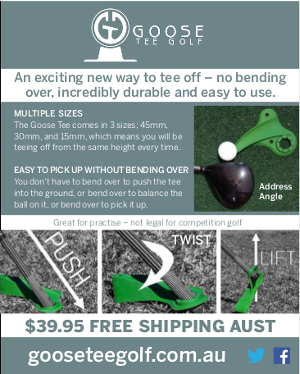 This allows all golfers to aim for a major medal at the end of the year. The winner in 2014 was Paul Maslen from NSW with fellow NSW seniors Chris Gordon and Vince Clark in the minor placings. A full table of points for all competitions is available on the AUSOOM website (www.ausoom.com). When are the Ranking Points used? At different times during the year various national senior teams are selected. The Golf Australia Rolling 12 Months points table is used as a basis for this selection. By using a rolling 12 month table selection is always based on a player’s performance over a full 12 months period. As each event is played in a new year the old event drops off e.g. points gained in the 2014 Australian Senior Amateur Championship will remain current until the 2015 Australian Senior Amateur Championship is played. 2015 again saw a 12 man Australian Senior team selected for a Ryder Cup format match against the Australian Defence Forces Golf Association on March 31-April 1. Selection in the Golf Australia team is based on the ranking table but any senior who has represented in either the Sanctuary Cove or Asia Pacific teams in the preceding 12 months is ineligible for selection. This means at least 24 seniors are rewarded with team selection each year. A 12 man Australian Senior team will be selected after the 2015 NSW Senior Classic in April to play New Zealand in mid-July for the Sanctuary Cove Trophy. The six man team to represent Australia in the 2015 Asia Pacific team will be selected after the 2015 Australian Senior Amateur Championship in late September. At the end of each ranking year Golf Australia medals are awarded to those seniors in the top three positions in the overall scratch, the Over 65 section and in the handicap competition. The final event in the 2015 ranking year is the Victorian Senior Amateur Championship played in late October. Entry forms are always available on the AUSOOM website (www.ausoom.com). Depending on the event, entry forms are also found on the various state or host club’s web sites. Many events now provide online entry using the Internet. Entry fees for all events are kept as low as possible to encourage seniors to participate. It is quite common for seniors to share accommodation and travel costs. It doesn’t take long to find a few golfing mates willing to add another to their travelling group. You do not have to be a low marker to play and enjoy the competition and the friendships that will soon be made. If you have thought about playing in one or more senior events before but for some reason have not put the plan into action now is the time to go ahead.